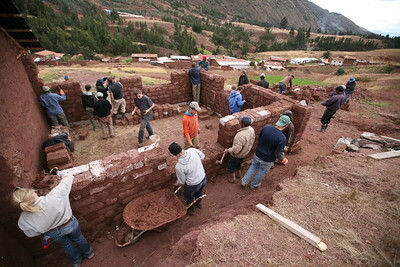 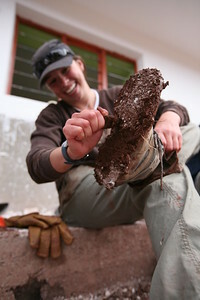 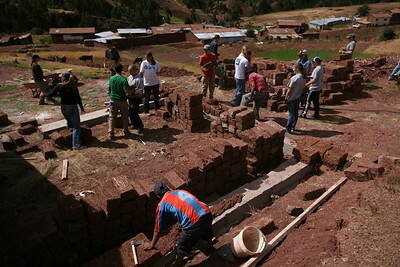 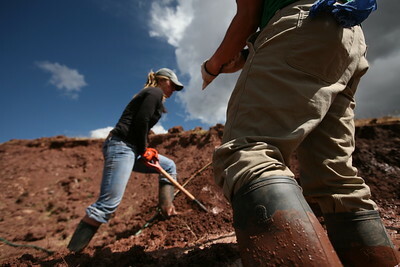 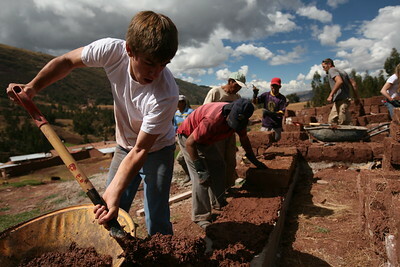 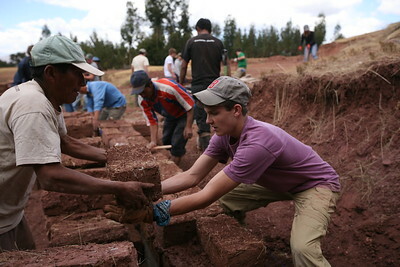 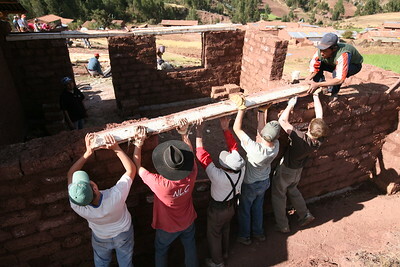 CUSCO, PERU - Building a classroom in Peru. 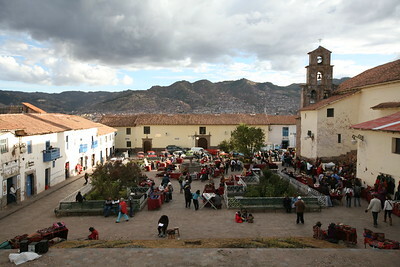 CUSCO, PERU - San Blas market. 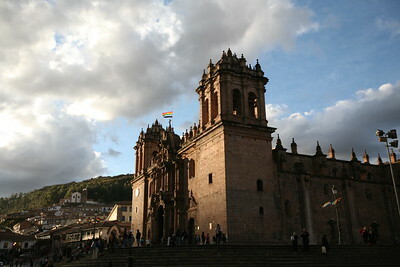 CUSCO, PERU - Plaza de Armas cathedral. 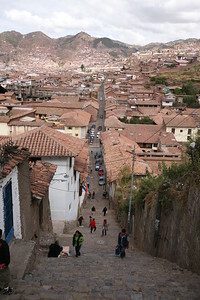 CUSCO, PERU - Street to stairs. 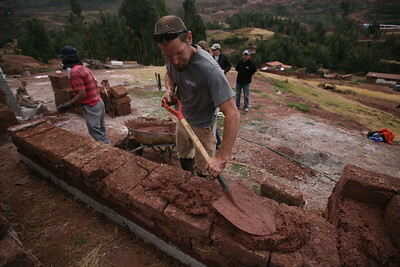 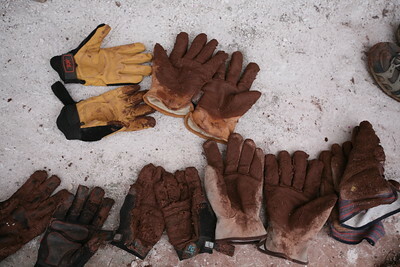 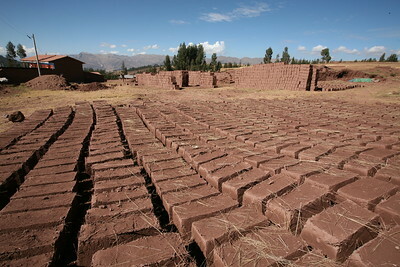 PUMAMARKA, CUSCO, PERU - Adobe bricks drying. 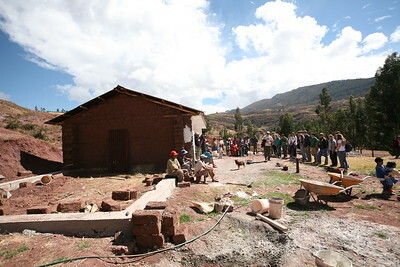 PUMAMARKA, CUSCO, PERU - Classroom visit. 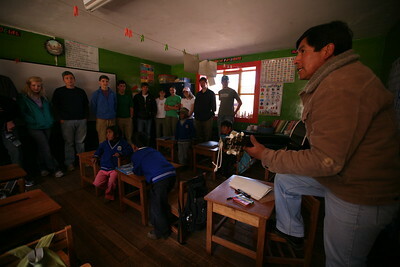 The teacher sings the visitors a song. 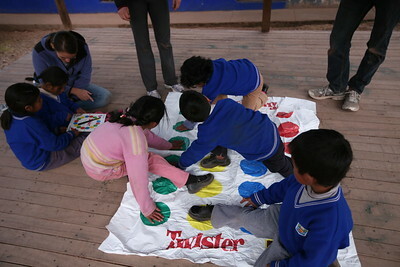 MISKIUNO, CUSCO, PERU - DiscoveryBound's 2014J NLC class meets the community of Miskiuno. 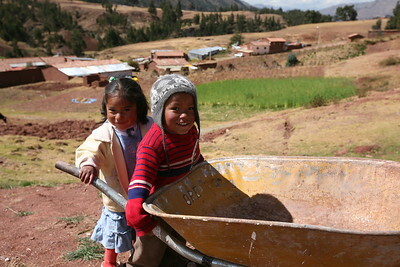 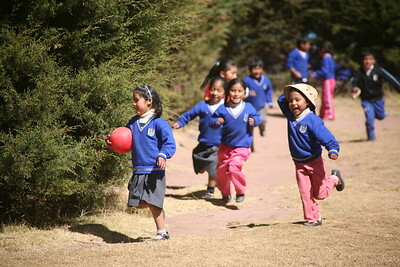 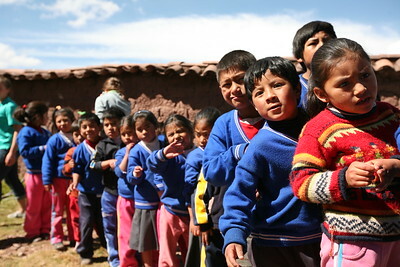 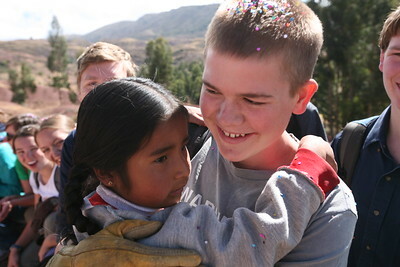 MISKIUNO, CUSCO, PERU - The kids are ready to help. 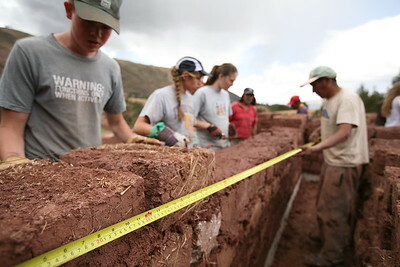 MISKIUNO, CUSCO, PERU - DiscoveryBound's 2014J NLC class working with Peru's Challenge to build a classroom in the rural community of Miskiuno. 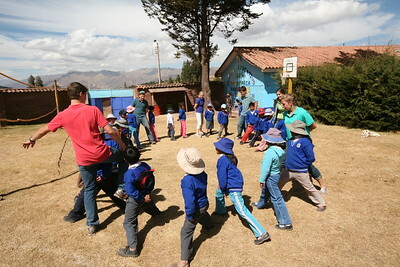 PUMAMARKA, CUSCO, PERU - Classroom visit.